When American cowboys of the 1800’s ran cattle together on open ranges, they gathered each year to separate their herds from their neighbors. This is what we call “Cutting”. Naturally, when you bring a group of people working together it turns into a competition, and equine competitions are some of the best. The Cutting and Rodeo heritages run strong and deep, and have for centuries. In the 1800’s they were also a grand social events, some say the original networking events, and nothing from that has changed much today. The ranchers gathered, there was a competition and the families shared their stories and wares from the last gathering. They revealed crafts, sold wares, exchanged recipes, but most of all, they shared laughter. They worked side by side to teach and guide their children and developed a strong community. 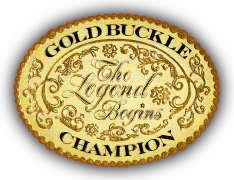 From this we have seen many “Legends” in the equine industries that give us inspiration to keep these sports going. Our goal is to illustrate the positive value of what equine sports has done for the history of America. By actions we wish to demonstrate the legendary proceedings of he men and women, unafraid of hard work, who founded the west and the lifestyle that gave them the courage it took to endure its hardships and lead them to a better life.